So, continuing on in our "Skylanders Ideas" series, this is another idea I pitched at E3. Basically, since so much Trap Team info was off the table, we got to a point of just talking about the game and I was able to highlight some of my opinions, one of them being Battle Mode. I never dreamed I would be releasing this video in the wake of news that Trap Team wouldn't have the usual Battle Mode setup, but I suppose it just makes this take on that much more significance. I truly think this is the way to go with "Battle Mode." I thought it shortly after Giants, this summer at E3, and still think it is the best option in light of the news...I don't think it was as well received as the "plain jane" variant proposal, but it didn't fall on deaf ears either. At this point in time, I truly hope something similar is planned as PvP is a huge part of the Skylanders franchise and offers the most replay value imo. How to improve Battle Mode/PvP in Skylanders. Most, or at least the majority of those voicing opinions on this matter have taken the mantra of "Online or Bust." That is, players REALLY WANT Online PvP so they can play with friends, or just other Portal Masters when they pit Skylander against Skylander. I am fully aware of that, but I take a slightly different approach, one that I believe has an even greater basis of support, but perhaps from the silent majority. The last month or so, almost every comment and message I have received was built around "What are you most excited for in Trap Team," or "Who do you think will be your favorite Skylander in Trap Team." I actually began a list when I got the full size Trap Team poster at TRU and plan to actually line item them out. However, the last week or so that shifted to, "Holy Greebles! What are your thoughts on there not being Battle Mode/PvP in Trap Team?" I've maintained a pretty solid "1P vs CPU" stance on Battle Mode, just like I've kept the same "LightCore Sermon" position (which is the next video in this series, lol). In fact, one of the ideas I pitched at E3 this year was how to improve Battle Mode. I want to make clear that I never suggest it be done away with completely, and I also need to stress my opinion could carry VERY little weight with the folks behind the game. I'd actually err more on that side than thinking it was partially important, but who knows. At this point in time I am left hoping that something similar to what I pitched actually becomes a reality, and hopefully before Christmas or late Spring. Before I expand on that, let me address the question, "What are your thoughts about no battle mode in Trap Team?" In all honesty, I am pretty devastated. As much as I wanted to see it change, Battle Mode is the #1 way my Nephew and I play Skylanders together. We battle Kaos and sometimes play a random chapter, but for the most part when he is over and wants to play Skylanders it is always PvP. Despite all the other options and Arena Challenges that have been added in, his #1 request is simply PvP. I also know, despite how much the vocal fan base pushed for "online" battles, they never dreamed they'd have nothing in its place. This is a big loss (assuming it is true...I've not seen anything to substantiate it, but haven't seen anyone rushing out to debunk it...I feel like if this was a rumor and NOT true, PR would be sending out word that people need to relax, Battle Mode is there with the Doom Challenge etc, and will be even better than last year etc). For many, this was your replay value. There are not as many "100%ers" as you would think. For many gamers, just getting to the end and defeating Kaos constitutes completion. Many don't feel the need to max out their Portal Master Rank, grind thru levels, look for missing items, or obtain 3 Stars for every chapter. However, what kept them playing, and what was a huge part of the franchise for everyone else was Battle Mode. SSA: "I'm Terrafin and you are Slam Bam...Let's see who wins!" Shortly after that, "Dude, let's set up and record a 32 Skylander Tournament!" Giants: "Are the Giants Newlanders, or SSA Castaways better? Tournament time!" SWAP Force: "Can anyone beat Star Strike?" "Let's do a series where 1 Skylander takes on 8-10 others in a row!" Battle Mode, namely PvP was my Nephew's FAVORITE part of the game. I loved it too. I'll recap this with how I opened it...I am pretty sad to see it go and can only hope that the folks behind the game have good reason for this and something that will blow us all away. So, prior to the pretty tragic news of Trap Team not having Battle Mode, this is what I pitched at E3. I was totally honest with them...I can only play Battle Mode when my Nephew is here. My other option is turning on another controller and either doing turn-based PvP where a single battle lasts 15 minutes, or just obliterate a pre-selected character to test out moves, complete quests, etc. My suggest was to build this stand alone game on the Single Player dynamic. I honestly think they expected to hear me say, "Online or die" based on their shock, but I truly believe all great games are built first and foremost around the single player experience. Does anyone know how much content I would have on my channel if I could play 1P vs CPU in Skylanders Battle Mode? I would literally take each character and run them thru the gauntlet against every other character. I would record tournaments, I would upload Giant throwdowns, and 16 slot SWAP Force brackets. It would be EPIC! The current set up doesn't allow me to do that short of the RPG style battle which I don't think anyone would enjoy. Just because I want to battle a CPU Skylader doesn't mean I want to forego battling my Nephew. I suggested that mode be kept in tact, but expanded. This is the expansion on the 2P. I know the argument I would get for pushing 1P vs CPU is, "But this is a family game...it is meant to be enjoyed by friends, or kids and their parents etc." Boom....Trump Card! I fully acknowledge that...My Nephew and I are proof of how well that works. However, what do other fighting games offer? 4 Players able to engage locally. So now, instead of it being Sibling vs Sibling, the parents can get in on the action. You can have Father & Daughter vs Mother & Son. I also stressed how it should allot for 2 friends to be able to come in and battle against 2 CPUs etc. Whatever the format, 1P vs CPU, 1P vs 2P, 1P & 2P vs 3P & 4P, 1P vs CPU1, CPU2, and CPU 3, it needs to allot for everything from a sole, individual player to 4 congregated players. I didn't go into this, bu that can be made even better by allowing 1P-2P-3P-4P to battle 4 CPUs. The options are really limitless and the more immersive, the better. This is another no-brainer in a dedicated fighting game. You need to be able to do more than just a solo battle. You need to be able to create Tournaments and progress through each round. This would be HUGE. I didn't mention this, but things like having a King of the Hill, or Gauntlet type modes where you pit your favorite Skylander against the rest would be awesome. This was also not included in what I pitched, but I think the game would be well served to have an archived record of your collection. Basically meaning that when you put Terrafin and S3 Mega Ram Spyro on the portal, they are there on a roster for you to select from. Essentially, this would allow you to play as Terrafin and earn XP while going thru your roster of Skylanders to spice up the battles, or practice specific techniques. I also think this aspect could be expanded to allow for those with a limited collection to battle Skylanders they don't own. What I mean by this is that you have Mega Ram Spyro and Big Bang Trigger Happy. We will say you don't have Star Strike. The game would allow you to select to battle her as a CPU. This would let you get a feel for old and new characters that might not be in your collection and ultimately encourage you to add them! It is a win-win imo. I know I am 95% of the time against DLC, but hear me out. I want to pay the reasonable price for this stand alone game. However I, you, and anyone else with any sense doesn't want to spring $30 for a new "Skylanders Battle:: ___ Edition" each year. How do you rectify that? DLC. When Skylanders 5 drops they can offer up the new character roster, new arenas, and honestly whatever other expansions they want. Keep the price right (Say $10) and people will eat it up. We are already buying the new Skylanders to use in the new game, so this would just add them to the Battle roster etc. This DLC literally allows your initial purchase to be expanded on annually. If they are loosing players, DLC can come along with new battle modes, etc. I am not about to poll people for what they want and not take it to heart. While I would be ecstatic and content with what I have described above, I know an awful lot of you want online battle mode. I have to admit, it would be cool. Personally, I would rather have Single Player vs CPU first, but this is a step in the right direction from that foundation. I honestly believe the biggest concern with "online" is keeping the environment kid friendly. This is hard to do without nerfing interaction...ie no chat, no text, etc. I think, for what it is worth, that quest is being made a little too difficult. Nintendo has managed social gaming and online interactions quite well, and while it hasn't been perfect there are easy ways to make this function and not hold up a stellar addition to the franchise. Mario Kart Wii didn't have voice chat, it didn't offer up a blank slate and keyboard, it had pre-selected messages like, "Great Race!" "Last One!," "Let's Race Bikes" etc...While it isn't super sleek or modern, it would work while something better could be hashed out. I pitched this idea because I truly believe in it...I think it is 100% the way to go. In light of the recent revelations that there won't be a a Battle Mode in Trap Team, I think it is seriously worth considering. One thing I tried to convey while pitching this is that people would pay for the stand alone game if it was well executed, patched, updated, and included the DLC to update rosters etc. I have no qualms continuing to pay $75 for the main entry. You are getting a game, Portal, and 2-3 figures, or in the case of Trap Team 2 Figures and 2 Traps. That is basically $25-$35 on the figures, and puts the game right in line with others at $49-59. Make the stand alone battle game priced at $19.99, or $29.99 and then offer the annual $9.99 roster update (as opposed to a new game at $30 again), and offer up some other reasonably priced arenas, or misc. items for cheap and I think it is a no brainer. The game can feature more content like the Bonus Mission Maps, or longer levels and then the battle mode can be built around a more robust and typical layout for a fighting game. I think it would be the best course of action for the main game, battle mode, and franchise as a whole. I am just one guy, but I have spent a lot of time playing Skylanders the last three years, feel I have a good feel for what the community wants, and have the unique vantage point of being an older, regular player while seeing first hand what my Nephew makes of things. I think this is the way to go, especially with the sad news that the Battle Mode we have come to expect the first three installments has fallen to the wayside. As always, let me know your thoughts. Are you in the "Online" or bust camp? Do you agree with me that the heart of the game should be built around the single player? Would you purchase a well executed stand-alone, battle mode game for Skylanders? This is an idea I pitched at E3 2014...I have to say that this one was very well received. Will it be implemented, who knows. It is just as likely as it is unlikely. However, I felt it was worth sharing with the Skylander Community as it would help alleviate one of the frustrations dedicated players/collectors face. So, one of the most common comments, or messages I have received over the years centers around variants. Not necessarily who will be one, how they are selected, or what a good price for them is, but rather something like this, "1ofWiisdom, I have been checking my local stores daily for weeks in hopes of finding _____ Variant and I never found it. I saw other people find it...I tried this last year for ____ Variant. What am I doing wrong? What can I never find any Variants?" Well, this one is kind of sad to answer. A lot of people remain totally oblivious to how a retail store works. It isn't just happy-go-lucky employees who gleefully stock items they have zero interest in for you to purchase. There are people that work in retail because it is all they can find, they have to (ie high school, college, parents, or someone else who needs the flexible hours a big chain can offer), they want to (ie I am going to start stocking at this store, then work my way up to Assistant Manager, and then eventually open my own chain/franchise), and those who have ulterior motives. You need to be aware of those with ulterior motives. Most people with this mind set will do just as you...They come in on weekends, after work, or when they run errands and comb the shelves looking for the rare toy, chase diecast, or in this case, Variant Skylander. In a perfect situation the person who spends the most time in pursuit, would usually wind up the benefactor. The variable here is the employee faction. Whereas Activision, Matel, or whatever company is cranking out something special with a nod towards their "serious collectors" all of that can halt when the product is intercepted BEFORE it gets to the end user. For a lot of you that report to me how you "try really hard" to find these Variants it has nothing to do with your timing, dedication, or luck...but everything to do with what goes on behind the scenes. Another, and more likely example, involves an employee monitoring ebay, fan sites, and forums and learning of Blue Metallic Chopper, GITD Funny Bone, or Crimson Head Rush and then specifically checking the boxes for these characters. Whether they are 1 per Case, 3 per case, or totally at random they will make a point to check EVERYTHING before it hits the shelves. They also involve other employees to help with this (ie to cover their off day etc). This means you have a near ZERO Percent chance of ever finding a variant at that store. I see people online report this, I see employees brag about it, and I see ebay accounts of pirates who pillage quantities of these things to sell for their personal, financial gain. That is not what the parent company intends, and it is not beneficial to the fan base. I know, for a fact, this happens locally. There is a very well known lady who works at Walmart for the sole purpose of nabbing "hot toys/items" and then selling them online. She is known at Target, GameStop, and Toys'R'Us. It is people like her that make the "Limit 1 Per Customer" signs a thing of reality. She will use her kids, grandkids, and I'm sure any other friends to go in and buy up the stock to get around these rules. Most stores are even aware of her husband and kids. You should hear the stories I heard about her and the Nintendo Wii at launch back in 2006. She has been doing this for AT LEAST that long and will continue to do so until people quit paying crazy money for what she pirates. I was also very disappointed in my local TRU when I was invited to their back room by electronics (apparently that happens when you reserve a Nintendo Wii U and they think they "accidentally" sold it) and saw a shopping kart FULL OF SKYLANDER VARIANTS. For those of you that got the Stone Zook and Stone Whirlwind on launch and wonder why I didn't...that would be why. GameStop is known for pulling variants out at their distribution center...They use to randomly ship them, and still might, but they tend to just pack them in some crazy expensive fan bundle. First, variants could be more subtle. Instead of a cool, translucent green Rip Tide, why not slightly tweak his armor from gold to silver, or make the sword fish a different color? This would not stick out as well, but would still likely be learned and abducted by employees. My second suggestion, and what was very well received goes like this...That Blue Metallic Chopper I described above? He isn't Blue Metallic anymore...he looks just like the other 5 Choppers in the box. Nothing flashy, fancy, or out of the ordinary...just 6 identical Choppers ready to be shelved. However, when you get home with that Chopper you just bought, you place it on the portal and Wham-O! "Special Chopper" appears when you boot up the game! 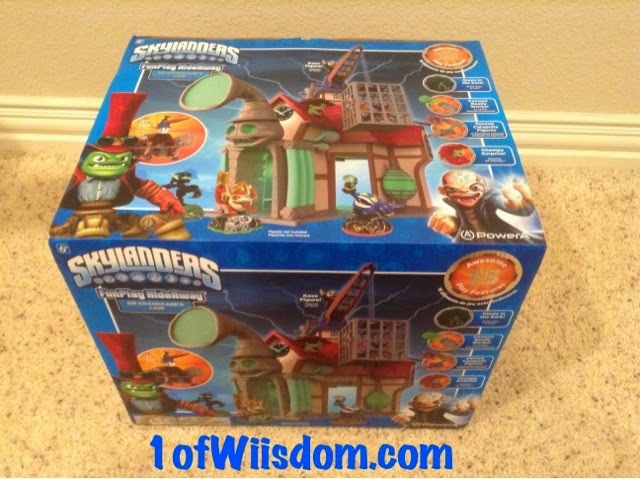 The employee didn't know, scalpers don't know, people pillaging the shelves for a "different looking" Skylander don't know, and ultimately YOU didn't know until you got home and put him on the portal. I realize employees could stick them all on the Portal or something, but that is a bit tougher to validate than simply slicing a box open and leaving it in the break room to buy and sell after your shift. Is it perfect? No. Does it take away a cool looking variant form? Yes. But they would be just as collectible given the end circumstances. I know this would open the doors for people online to sell a regular Chopper advertised as a "Special Chopper," but the auction sites help hold people accountable AND as I've said for 3 years now, you have no business paying $100s for something that cost someone $10. I know it is your money and you can do with it what you want, but no one intends for the variants to turn into someone high dollar thrill ride. It is supposed to be players running in to look for a certain character and happening to see a varaint. That planned joy has all but been eliminated by the greed of employees and lack of managerial oversight (or plain and simple corruption). For those who argue the "value" would be hurt with identical paint jobs, I would suggest making them in lesser runs...The concept was brought about, just as with all toys/collectibles, to be a nod for the diehards..Those who comb the shelves hoping to get lucky, and this would help keep that option open. In my mind, it is a far better option than simply continuing on and letting corrupt managers, greedy employees, and maniacal ebay pirates the luxury of easily intercepting variants and making ridiculous money off of them. Let me know what you think of this idea, and if you have any of your own. How many Variants have you found locally, in the store, as intended? Do you pay big bucks for rare figures on eBay? Do you know of your local stores "puling" variants before they even hit the shelves? I was met with mostly bare shelves and while I was thinking, "There goes another chance" it dawned on me the shelves were likely cleared to stock Trap Team figures here shortly and switch the display out...That assumption was correct! However, there were three cool things I noticed! My store had DEDICATED PEGS and TAGS for Gearshift, Nitro Krypt King, AND Outlaw Brawl & Chain. There were two pegs for each and they all had specific tags, and presumably barcodes/SKUs which means employees will have an easier time checking stock for you...and you checking stock online. It looks like Gearshift should at least be available initially in some quantity...I have been told it is limited and to pre-order. If you are a gambler, you can probably snag her at launch. Nitro Krypt King was expected, but several were concerned he was "online only." I don't know where that rumor came from, but as I've been telling people, that is not the case and this confirms it. I was also glad to see 2 Pegs for him. Granite Crusher, Jade Flashwing, and the "Nitros" have been the hardest for me to find and I usually only see them on launch day locally. The biggest surprise was seeing the stand alone tag for Outlaw Brawl & Chain, who is the Target pre-order bonus villain. I was a bit disappointed that he wasn't included if you pre-order the Dark Edition, and it now looks like those who go elsewhere for pre-orders or Starter Pack purchases can still snag him, just at a price of $5.99, which is standard for single traps. You can find all the pictures in the video...I'll try to add them to this post when time allows. Have you found anything cool at your local stores? Feel free to share your findings! Would You Recommend It? Absolutely! I was warned a day in advance to expect a "surprise" package that was simply worded to build excitement through concise vagueness. That probably sounds complicated, but it did get me excited, and the PowerA FunPlay HideAway did not disappoint! I'll be honest, I was thinking it would be the Trap Storage Case I spotted and made a spotlight video on last week...Made sense to me...help showcase the Trap Storage Case to highlight all the villains and give everyone a feel for what they can be utilizing to archive their favorite villains as we all progress through Trap Team. Dr. Krankcase's Lair showed up and it was indeed quite the surprise! I will probably be the only person to mention this, and one of the few who cares and values this sort of a assessment, but the box is amazing. I know, I know...you want to see the playset, know about the features, and have all the details. I will get to that...after the box. The box is a base blue with carefully placed Elemental Logos. The top (lid) is very glossy and the playset seems to pop right off the cardboard. To enhance this deep gloss effect you have metallic silver encircling the "15 Awesome Play Features" and emblazoning "Dr. Krankcase's Lair." The background creates a general sense of the "Darkness" typically associated with Kaos and the glow from the playset is easy to pick up on without reading "Glows in the Dark!" The back side uses similar metallics to showcase unique features and highlights the backside of the playset. Bottom line, I don't think I can' throw the box away. While last year's Flynn's Ship and Skylands were geared towards Display, Storage, and Play, I feel like this one is set up more for Play and Display. There are so many features that beg you to explore the Lair and stage rescues (I was guilty of that in my pictures, haha) it will take a strong bit of self control to not do so. While the Skylands and Flynn's Ship offered up lots of play options, I feel like this is the cream of the crop in terms of straight up "let's play with our Skylanders" action. I also have to say that this one takes the cake solely for display. You can't fit 15 Skylanders on the roof, but you don't need to. If you have this in your game room, coffee table, entertainment center, etc.,it is going to be the center of attention...I guarantee it! Oh No! Sprocket has been Trapped! The playset is just shy of 2 Feet Tall so we have a significant elevational dimension to captivate someone's attention. The pedestals on the roof allow you to display 2 of your favorite Skylanders and the sidewalk around can fit a couple more. The backside allows you to stage several more, but be weary of the trap door and cell! The front pillars, side lamps, and large headpiece all glow-in-the-dark! My camera can't really pick it up, but trust me, it is a visually impressive sight to behold! 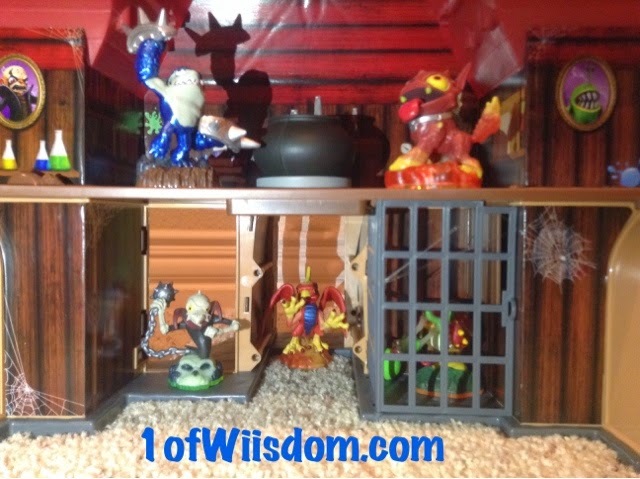 Kill the lights in your living room or game room, and make Dr. Krankcase's Lair your Skylanders centerpiece. It is that awesome! The details inside the Lair are impressive and hilarious. My personal favorite is the villain group picture...can you find it? There are a lot of little extras and clever details to appreciate it throughout the playset. The clock, which also glows-in-the-dark, triggers the "Chompy Surprise" on the roof. At the pinnacle of Dr. Krankcase's Lair is none other than Skylands most brilliantly evil, doubly diabolical, mythically magical, terrifyingly tyrannical Kaos! He is scaled to be the SAME SIZE as your core Skylanders (imagine the photo-ops)! 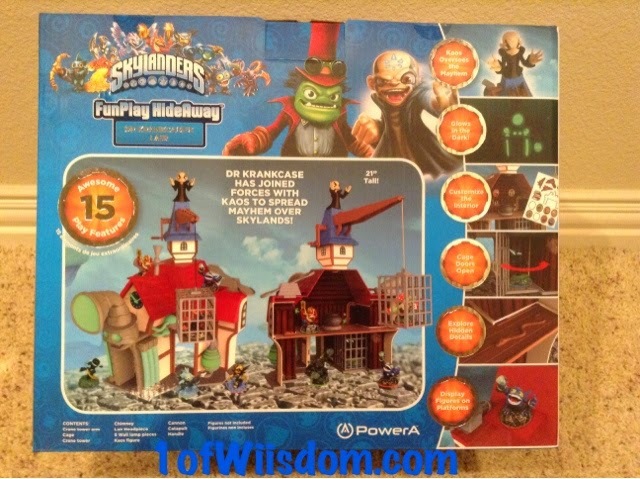 Plus, in this instance, he is at the helm of a crane, holding a steel cage, that can dangle trapped characters to lure in the Skylanders. Luckily, the roof has a SeeSaw Catapult and Cannon to help take out Kaos (or is it to help Kaos and the Doom Raiders take out the Skylanders?!). All-in-all Dr. Krankcase's Lair is one destination you need to acquire! 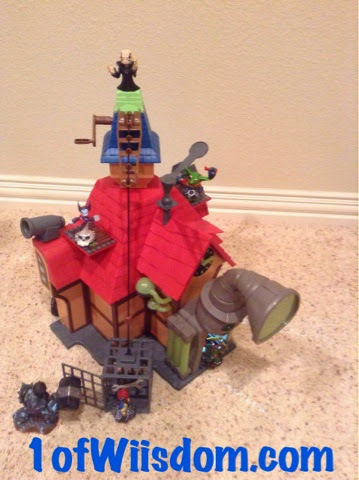 I will be utilizing the Lair as mentioned earlier, a Skylanders Centerpiece. Granted, in my case, that means prominent display on the pool table and serving as the back drop for all the upcoming unboxing videos, but rest assured, coffee table, kitchen table, or game room floor, Krankcase's Lair will serve you and your family of Portal Masters as a nice hub for all things Skylanders. You can pick up Dr. Krankcase's Lair at Target, Toys'R'Us, and select Walmarts this October. 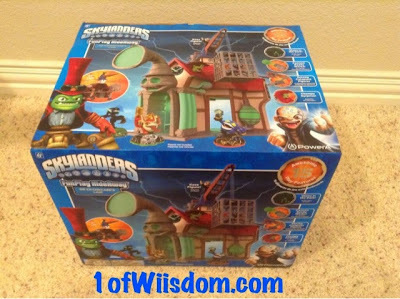 If you can resist gifting one, or opening it immediately it would be a great Halloween surprise, or Christmas gift for any Skylander aficionado. A big thanks to PowerA and Activison for sending this out and allowing me to showcase it pre-release to all of you. It will make an awesome backdrop for all of the unboxing videos! We will likely never know who exactly pitched the idea, who designed and executed it, but kudos to whoever you are! And on a more personal note, the folks behind the box truly did amazing work. 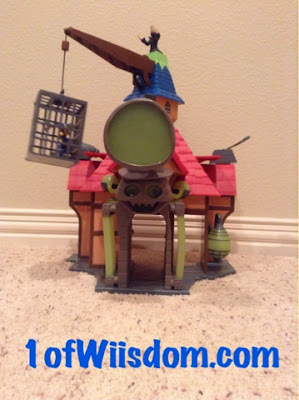 What do you think of Dr. Krankcase's Lair? Is it a Day One Purchase, or gift? Where do you rank it against last year's offerings of Flynn's Ship and the Skylands set? At long last we have official confirmation and some information on the Skylanders Trap Team Starter Pack for the Nintendo 3DS. As a Skylanders Fan and Nintendo 3DS proponent, this is (finally) our first detailed info on the installment! I will be making another post and stand alone video to further expand the on the information in this post...Stay tuned! 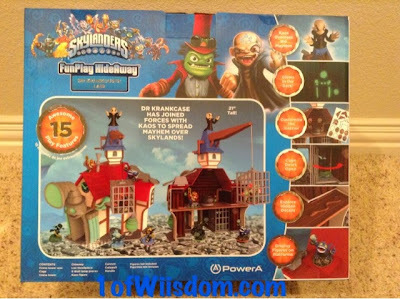 SANTA MONICA, Calif. - September 18, 2014 - Skylanders® fans can go on a villain vanquishing adventure this fall with Skylanders Trap Team for Nintendo 3DS as they take on the evil Dream Sheep and 13 other villains exclusive to the platform. Launching day and date on October 5 with the console and tablet versions of the game, Skylanders Trap Teamfor Nintendo 3DS features an all-new adventure with its own levels, locations and gameplay. The game also uses the special features of the system, which gives players the ability to experience unique interactions with the captured villains. Additionally, Skylanders Trap Team on Nintendo 3DS introduces a multiplayer version of the fan-favorite card game Skylanders Skystones that uses Wi-Fi connectivity, marking the first time Portal Masters can play the minigame with friends and family. 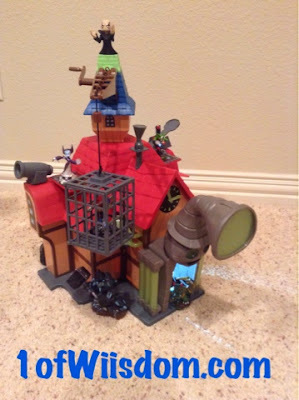 Skylanders Trap Team takes advantage of the interactive features of Nintendo 3DS in fun ways. For instance, after villains are defeated in combat, players can use the bottom Touch Screen to pull them out of the game and trap them in the Traptanium Vault. Then, once captured, players can use the Touch Screen and microphone to poke, tickle and spin villains to make them dizzy. 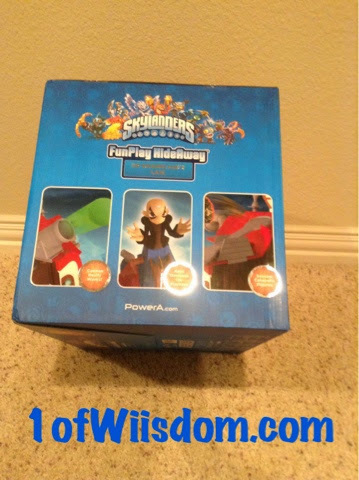 Using the Portal of Power® included in the Skylanders Trap Team Nintendo 3DS Starter Pack, players can load in their Skylanders characters directly into the system, allowing greater flexibility for playing on the go. Additionally, two powerful Skylanders characters will be available at launch only via the Nintendo 3DS Starter Pack -- Gusto, a Trap Master with an oversized TraptaniumTM Boomerang that delivers the ultimate blow to bad guys; and Barkley, the Mini version of Skylanders Giants'TM Tree Rex. Throughout the game, Portal Masters can summon captured villains to unleash devastating attacks and fight side-by-side with their Skylander. They can also play as captured villains in 13 unique villain "bootcamps" created by the evil Dream Sheep, the master villain in the game. The Nintendo 3DS version of SkylandersTrap Team also enables fans to play with all of the toys from Skylanders Spyro's Adventure®, Skylanders GiantsTM and Skylanders SWAP ForceTM, enabling true cross-platform play. All of the characters' abilities, levels and customization will carry forward into Skylanders Trap Team. Skylanders Trap Team on Nintendo 3DS, developed by Beenox, will be available on October 5 in North America, October 2 in Australia and October 10 in Europe. The game is rated E10+ by the ESRB. 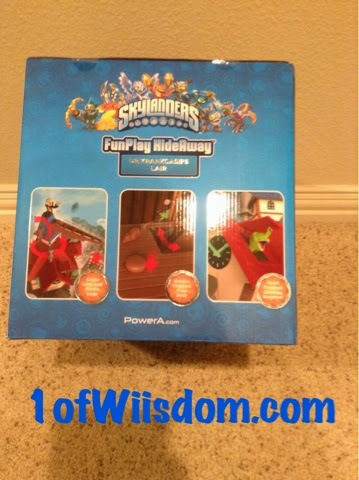 For more information, visit: www.skylanders.com. Trap Triple Packs, Mini Double Packs, Triple Packs, Trap Masters, and More! I would like to think my dysfunctional mouse for the find tonight...I couldn't have done it without you. I check Amazon and GameStop most nights, but was very tired and if not for the extreme frustration of having a single-double-quadruple clicking mouse I probably would have gone to bed after the Skylanders Trap Team Poster video uploaded. There isn't a lot of new info here, but this is the first I have seen the "Trap Triple Pack" packaging...previously I had just seen the single packs, so it was cool to me. I hope you enjoy it and more importantly take advantage of the pre-orders if that is up your alley! Anyone notice that Life and Water are missing? That is a HUGE RELIEF for many players! Thank you Activision for making them all available at launch! This video is just my way of covering the poster with you...We check out each Skylander and Villain as well as checking out the back side. The #1 FAQ for the last few weeks has been, "What/Who are you most looking forward to in Trap Team?" I will answer that and more in a coming series of videos, so stay tuned! SANTA MONICA, Calif. - SEPTEMBER 15, 2014 - Attention foolish human fools! Activision Publishing, Inc., a wholly owned subsidiary of Activision Blizzard, Inc. (NASDAQ: ATVI), is officially announcing an all new diabolical gameplay mode in honor of me, Emperor Kaos, the most infamously evil villain in all of Skylands! In my glorious "Kaos Doom Challenge," sniveling Portal Masters like you can feebly battle through increasingly difficult waves of my personal minions using your ridiculous army of Skylanders. And since you obviously won't stand a chance, I, Kaos, will graciously allow you to build defensive towers and battle my fearsome allies using any of your Skylanders from your entire collection. However, when you bumbling Portal Masters utterly fail to progress past my hoards of evil underlings, the "Mystery Box of Doom" will be opened - which will then incomprehensibly spit out gigantic villains that will completely destroy you! And because I am both benevolent and merciful, I will even let you fools use any of your pitiful Trapped Villains to fight them. And, should any of you so-called "journalists" need an official quote from me -BEHOLD! "A recent evil study of a thousand trolls revealed that nine out of ten agree that I am the most powerful and impressive evil doer to have ever conquered Skylands. Naturally, I had every tenth one banished to my "Kaos Doom Challenge" to test the effectiveness of my 100 waves of ultimate evil doom - and they were never heard from again. So let's just say EVERYONE agrees - I am the most powerful and impressive evil doer ever." And for those of you who absolutely cannot wait for your horribly inevitable destruction, the Skylanders Trap Team Starter Pack will be available on a bunch of seemingly random days in October (October 5th in North America, October 10th in Europe and October 2nd in Australia to be precise) on the following exceptionally awesome platforms: Nintendo's Wii™ system and Nintendo's Wii U™ system, a variety of iPad®, Kindle Fire and Android tablets; Xbox One and Xbox 360 games and entertainment systems from Microsoft; PlayStation®4 system; PlayStation®3 system. A different, unique adventure also will be available on the Nintendo 3DS™ hand-held system. Now if you'll excuse me, I have a world to conquer. I look forward to crushing your spirits. With loathing and disgust. This was something I had wanted to see come to the market, but wasn't sure if it would make it. PowerA looks to have recreated the Trap Box we saw in the original Trap Team Reveal Trailer. Granted, this one probably won't be wood or made from the same prop-friendly design, but it will be functional, durable, and completely practical for Portal Masters looking for the best storage solution to Trap Team's unique Traps. Trap Team will have Adventure Packs and this time Toys'R'Us is getting into the action. The Legendary Nightmare Express AP is now up for pre-order. This AP will include Legendary Blades, an Air Element Newlander. The Nightmare Express location piece kind of looks the same as the regular AP to me, but I know that the Hand of Fate is "gold" in the Legendary AP, so I am inclined to think there may be a slight color change. Blades is available in standard form via the Nightmare Express AP and has been rumored to have a Triple Pack as well (so he should eventually see single pack release). With the advent of Eon's Elite and so many other "special" characters, you have to wonder if the move to put Legendary Blades in an AP was an economic decision. It will be interesting to see what impact this has on Accolades, or if it will be a moot point (think back to the Golden Dragon Fire Cannon at GameStop a few years ago). What remains unknown is if Legendary Blades will wind up in a single pack release etc. 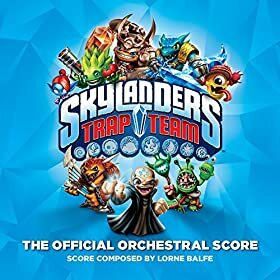 Amazon has listed the Skylanders Trap Team Soundtrack! The release date is slated for September 23rd, 2014 although that may not come to fruition. There are 12 Tracks with a total run time of 28:19. The music is once again stellar in my opinion. The scores in each of the previous releases has been excellent...I feel that has been a very under appreciated aspect to the series. Skylanders Academy is the most familiar to me as I heard it at E3 and it sounds quite similar to past game's hub themes.